Why work with a boutique firm like Crane Real Estate Brokers? The three principal brokers at Crane Real Estate Brokers have over 50 years of experience in New Orleans real estate and have developed a firm that offers a unique personal service approach, putting a team of licensed professionals to work for you. We guarantee you 24/7 service, with someone always ready to assist in any way you need. We are small enough to provide you personalized attention, and we are large enough to maintain an extensive network to market your property or find the right home for you. To assist buyers and sellers of real property to complete their real estate transaction as smoothly and painlessly as possible, for the fairest price. Tommy is a native New Orleanian and founder of Crane Real Estate Brokers. With over 30 years of Real Estate Experience, he is an expert problem solver and carries an excellent reputation. Tommy worked with larger Real Estate companies but learned years ago he could provide better, faster, and more personal service with a small firm of his own. Aaron works exclusively with Sellers. He is a savvy marketer, streamlining the selling processes while handling and coordinating showings and negotiating contracts. He is an expert in all New Orleans markets and values. Aaron’s representation is detailed and efficient. He routinely ranks among the top producers in the city annually. Andrew works exclusively with Buyers. He provides professional and knowledgeable representation throughout the search and purchasing processes. Andrew is a skillful negotiator and a hands-on fiduciary for his clients’ interests all the way to the closing table. His production also ranks annually among the top in the city. Doris is an experienced Realtor, providing support to the Listing Broker and handling most aspects of the closing process, including inspections, coordinating deadlines with lenders and Realtors, and property marketing. She also handles property showings and home tours and is a superb multi-tasker. Stephanie provides support to the Buyer’s Broker. She arranges and attends property inspections, handles property showings, and manages all client contract deadlines. Angela consistently offers a friendly voice on the phone to greet clients and Realtors. She schedules property showings and appointments, manages listing files, handles company finances, and develops and maintains company procedures. April assists the Listing Broker in providing excellent representation of our clients’ properties across multiple digital and print mediums, including social media. 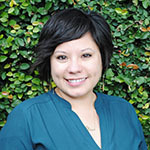 She is an experienced marketer with more than 10 years of Real Estate and marketing experience. Seamless service with a team of experienced agents working for you. Sound renovation advice based on decades of experience. Top notch marketing. We have in-house marketing staff that takes care of every detail, including “Just Listed” postcards, emails to top agents, website listings, newspaper ads, and virtual tours, all with no up-front advertising/marketing fees. No missed showings. We show your property any time convenient for you, guaranteed. Market knowledge and a customized selling strategy. We constantly monitor the market and adjust our strategy to meet your needs. Immediate response. We answer your calls promptly and provide frequent updates. When calling the office, you can always speak with Tommy or one of his partners familiar with the property. Around the clock call monitoring. We monitor and return calls around the clock, providing you with 24/7 access to us. 100% coordination of accepted contracts. We coordinate your pending sale daily with the buyer’s agent, lender, insurance and title companies. We strive to anticipate any obstacles to closing and tackle problems early and head-on. We verify the buyer’s qualifications, confirm the appraiser’s market knowledge, resolve inspection issues promptly, organize the closing to avoid delays, and obtain a closing statement as early as possible to review for accuracy. Dedicated service with buyer’s agents working on your search. Prequalification advice to determine how much you can afford and introduce you to reputable lenders for pre-qualification. A closely monitored search. We search daily and notify you immediately when new listings with your criteria become available. Access to Tommy’s extensive network to give you leads on properties before they are available in the active market. Scheduling and coordination for all showings. We meet you at all showings and are available to you 7 days a week, 24 hours a day. Market knowledge. We analyze recent sales in your search areas so that you can make an informed offer based on comparable sales and values. Skilled offer negotiation. We constantly review recent comparable sales to give you a comfort level in making an appropriate offer and getting the best sales price and possible terms for your purchase. 100% coordination of accepted contracts. We coordinate your pending sale daily with the listing agent, lender, insurance and title companies. We strive to anticipate any obstacles to closing and tackle problems early and head-on. We verify lender requirements, confirm the appraiser’s market knowledge, resolve inspection issues promptly, organize the closing to avoid delays, and obtain a closing statement as early as possible to review for accuracy. Stay in touch after closing. We’re still there for you when it comes to maintenance, repair, and guidance in refinancing if rates drop or you need to pull cash out of your property for renovation, tuitions, etc.